The remnants of OnLive, the games streaming service that recently dodged bankruptcy by a whisker, were sold to a venture capitalist for just $4.8 million, according to a letter obtained by theMercury News. OnLive was sold to Grey Lauder of venture capitalist firm Lauder Partners after laying off all of its employees in August 2012. OnLive’s holding company, the Palo Alto gaming company had outstanding debts of at least $18.7 million, excluding money it owed in the future for leases and other contractual obligations, according to the letter, which was sent to OnLive creditors last month. Full details of the deal were not disclosed, but figures in the letter indicate that the company’s creditors will end up getting no more than about 26 cents on each dollar they were owed. The letter details that OnLive, which had previously raised more than $40 million from AT&T, HTC and other major investors, had been exploring a sale or another investment for a “substantial period of time”, as noted by Joel Weinberg, the CEO of Insolvency Services Group, which is handing the company’s bankruptcy-like process. Bruce Grove, general manager of OnLive in the UK, revealed a 12-month "recovery plan" for the company in an interview with MCV UK. The plan involves building more partnerships to expand the service's reach, though Grove didn't specify who the company would partner with in the future. "We have a road map for how soon we start with certain things, what the focus is, what we're going to be doing, what the next twelve months will be. And that's a big shift for the company: Having a 12-month plan," Grove said. "That's something that's going to show how we'll build this into a long-term sustainable business." OnLive went through a rocky period of transition before former CEO Steve Perlman left the company in August. The company cut 50 percent of its staff prior to spinning off into a new company entirely while maintaining the OnLive brand and service. "In the past we've been very focused on OnLive being the driving force of wherever we've gone. Now, it's much more about engagement with our partners. That's going to be the way we reach the new customer market," Grove said. Cloud gaming has taken a significant step into the present thanks to a new initiative from Japanese publisher Square Enix. Its new portal, Core Online, allows gamers to play some its titles for free in proper HD through their web browser. It has launched with playable versions of Hitman: Blood Money, Lara Croft and the Guardian of Light and Mini Ninjas. It’s compatible with Chrome, Firefox and Internet Explorer. The tech behind it is provided by Danish studio Hapti.co. Standard features such as game saves and achievements are offered and are saved in the cloud. Furthermore, players can launch a game from any level they choose. The service is being monetised via video advertising, which can be skipped is users purchase individual levels or entire games. Tomb Raider: Underworld and Gyromancer will arrive on the service shortly. "Square Enix is at the forefront of experimentation of new business and services models in the game industry," Square Enix CEO Yoichi Wada stated. "Through our Core Online technology service, users can access our content easily through the browser." Offering its back-catalogue titles in this manner is interesting, but the real test of the model will be if Square Enix chooses to offer its new console and PC releases via Core Online at the same time as they launch on consoles and PC. It would be a brave move to offer games that on the one hand are available for £30-£40 on other platform for free via browser. It would also test the true value that consumers put on convenience, as well as their confidence in emerging cloud technologies. OnLive was days away from being completelyc closed down after accuring between $30 and $40m worth of debt. As reported by Mercurynews, the company did not have enough money to pay up and was facing complete closure before it was sold to Lauder Partners after significant layoffs. OnLive CEO Steve Perlman transferred all of the firm’s assets to the new owners, a former investor from 2009, with the streaming service to continue with the same name. As part of the takeover, creditors will likely only receive around five to ten cents on each dollar owed. "It was a company that was in dire straits. It only had days to live in terms of cash flow and the like," said Insolvency Services Group CEO Joel Weinberg. UK telephone and internet provider BT has said that it believes its 2.6 per cent stake in troubled cloud gaming firm OnLive will probably be written off. OnLive folded at the weekend only to instantly emerge again under a new owner, using the same assets, technology and IP. However, over half of it staff lost their jobs in the process. As well as the human cost, the process OnLive underwent allowed it to write off all of its debts, leaving investors without a penny as the company carries on as it did before. One investor, UK firm BT, has told TechRadar that it suspects the 2.6 per cent stake it acquired from OnLive in May 2010 will likely be lost. "We cannot comment on speculation about the future of OnLive, but we are keeping a close eye on developments,” a spokesperson explained. "Questions should be directed to the company in question. BT customers who are customers of OnLive will continue to be able to access the service. "In any event, the 2.6 per cent shareholding in OnLive does not represent a significant investment for BT as a whole. We consider it highly likely that we'll have to write off our investment." Smartphone manufacturer HTC has already written off the $40m investment it had made in the cloud gaming company. OnLive has more than 2.5 million subscribers, with an active base of over 1.5 million, according to the embattled cloud gaming firm. In an official Q&A attached to a press release explaining that the company has reformed as a new business in the face of "difficult financial decisions", OnLive promised that no services will be disrupted. "The OnLive Service has been in operation 24/7 without interruption since its launch over two years ago, and is expected to continue to operate smoothly under the new company. All games, products and services remain available, and the company has new product and partnership announcements on the way." Over the weekend OnLive CEO Steve Perlman blamed huge server running costs for pushing the company into the red, saying: "If you've got 8,000 servers and 1,600 [concurrent] users, how could we ever get to cash flow positive, right?" OnLive's reorganisation has resulted in nearly half of the firm's previous workforce being offered jobs at the new company. All share options and other salary contracts have been terminated. The company said today that the cloud gaming service's "user base is growing rapidly with OnLive's addition into recently announced devices and TVs from major manufacturers", adding: "We expect this growth to continue under the new company." Investment group Lauder Partners is the new owner of cloud gaming service OnLive. The cloud streaming outfit was acquired last Friday, amidst confusion over whether the company had been shut down. Instead the firm was acquired by Lauder Partners, which had been an original investor in OnLive in 2009. 50 per cent of employees at the company have been retained, or “re-hired”, whilst the other half have been let go. Laid off staff were described in a press release as “non-hired”, whilst it was confirmed that all staff have lost shares in the company, as old stock is now considered worthless. Beleaguered firm announces huge loss due to cloud gaming system restructure. HTC's sales have been in decline for a couple of quarters and now one of its investments is failing it too. The Taiwanese company is set to make a $40 million loss from its investment in online gaming platform OnLive. The cloud gaming system was hoped to bolster HTCs smartphone gaming offering, but after announcing last week that an unnamed buyer has acquired it, OnLive is the subject of intense financial speculation and has recently laid off hundreds of employees. HTC announced the investment loss in a Taiwan Stock Exchange filing, stating that OnLive completed an asset restructuring during this past weekend because of a "lack of operating cash and an inability to raise new capital." The company declined to elaborate on its investment. HTC made its $40 million investment in OnLive in February 2011. The news is out. OnLive, Inc. is no more, having cut the bulk of its workforce loose and used anAssignment for the Benefit of Creditors (ABC) to absolve itself of massive debts incurred by the expansion of its services without a corresponding increase in its customer base. But what is this alternative to filing for bankruptcy, and why did OnLive choose this particular legal reset button to start over? We spoke with an expert on the matter, Martin Pichinson, co-founder and managing member of Sherwood Partners (which does two or three ABCs in a given week), to help educate us on this little-known tool used by companies irrevocably in the red. 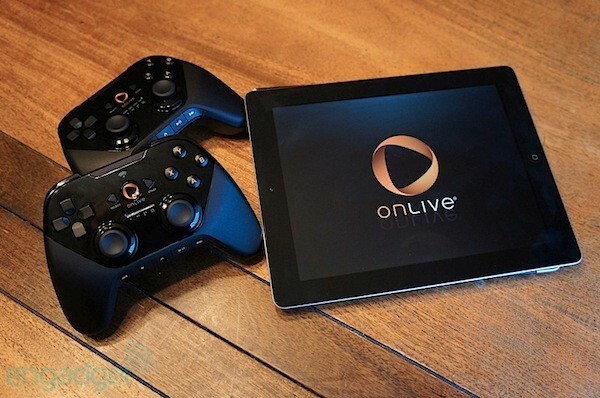 The truth about OnLive's demise will take time to emerge – but already a solid picture is being formed. And at the heart of it are user numbers. OnLive has never given out detailed user numbers, beyond vague statement of “phenomenal interest” and “growing user bases”. But if the numbers cited by boss Steve Perlman are correct, then the true picture is more grim that anyone had suspected. "There's no way to exactly estimate how many servers we'd need so we literally bought thousands of them, and all the equipment and networks to go with it," Perlman told employees at a meeting yesterday morning, according to Joystiq. “If you've got 8,000 servers and 1,600 users, how could we ever get to cash flow positive, right?" This effectively means that OnLive was forced to spend huge amounts on maintaining and renting servers that were not being used. Whether that 1,600 figure refers to subscribers or active users is unknown. But either way it's a disastrously low figure. The exact scale of the job losses remains unknown, but despite some claims to the contrary last night it certainly sounds like the majority. "Here's the tough part, and this is the thing I'm very sorry to say: it's just not possible for one individual in a startup – whether it's that old startup or this new startup – to bring in this many people into a company," Perlman admitted. "The people that come on board are the essential people, as needed, to go and accomplish that goal of getting this thing to cash-flow positive. "The people that are gonna be coming on board here, that will come out of the group. I'm gonna tell you, most of the people will not be coming on board.